Popcorn Time Alternatives for Windows 10: What Are Apps Like Popcorn Time? ● An android emulator is needed to get Popcorn Time on Windows 10 or other PC. ● Get errors like Popcorn Time has no sound with different reasons. ● Popcorn Time, mainly for the relation with torrent clients and pressure from the MPAA, has caused some legality related issues in UK, Norway, just to name a few. ● For personal use, one may has the threat to lose internet connection because of the torrent IP tracking. Therefore, before or after downloading popcorn time for Windows, people stand a good chance in want of replacing Popcorn Time for safer and easier movie download and enjoyment. We select out the following Popcorn Time Alternatives Windows 10, specifically, the apps that are like Popcorn Time most, for you. Netflix app is universally recognized as the one that resembles and superior to Popcorn Time app most, especially for its streaming feature. Award-winning TV shows, movies, documentaries are provided in this platform, with the most welcomed preponderance -- ads-free. As an American entertainment company, Netflix covers not only media streaming, but also DVD and Blu-ray rental service, expanding the business in more than 190 countries, with about 100 million subscribers worldwide. HD and Ultra HD movies and TV shows are available on Netflix, allowed to be streamed instantly. 1. The best Popcorn Time Windows 10 alternative only can be downloaded to watch offline on limited number of devices. 2. Very limited number of new motion picture sources, especially, few Hollywood/Bollywood movies are available in time. 3. Not all content available in HD or Ultra HD. 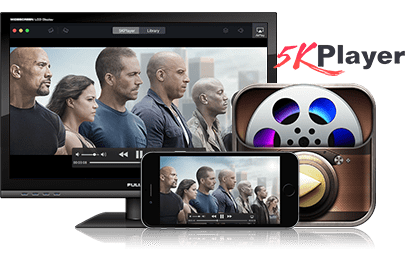 Supporting HD and Ultra HD, it can download 1080p or 4K movies online, be the formats MKV, MP4, MOV, H.265, M2TS, AVCHD, MOD, AVI, WMV, FLV, WMV, VOB, RMVB, WebM or whatever. In addition to online video download, its main characteristic also lies in converting videos to fit all kinds of devices and players, including iPhone 7 Plus, iPad Pro, Apple TV, Android, Xbox One, PS4, VLC, WMP and so on, with 410+ built-in preset device profiles. Cons: It does not provide movie or shows source directly. 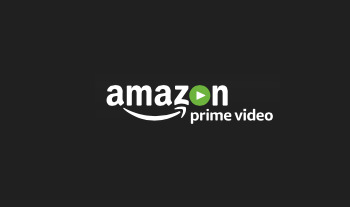 Amazon Prime Video (for Windows 10 available) is the entertainment app developed by Amazon. The app is said to consist of 4 times more Movies and TV shows than Netflix. It includes Hollywood and Bollywood movies and TV, Amazon exclusives like The Grand Tour, The Man in the High Castle, and Emmy award winner Tumble Leaf for streaming and downloading. In the past, the Popcorn Time alternative is defined as a Hollywood movie aggregation, but now, it has shifted to an original programming distributor. 1. As of some week in 2016, it has 4,335 movies and 1,197 shows. Compared with 6,494 movies and 1,609 TV shows in U.S. catalog in January 2014, there are a 33% drop in films and a 26% in television shows. More blockbusters are no longer available. 2. The Popcorn Time alternative for Windows 10 is a Hosted Web App with minimal Windows 10 features. ● Download videos and music from YouTube and many other online sites. ● Play any videos, audios, DVDs and radio (supporting H.264/H.265, VP8/VP9, etc). ● Support AirPlay streaming, mirroring and screen reording. Cons: It does not host any movie source itself; it is a tool to get and play them. ShowBox is another alternative app for Popcorn Time. 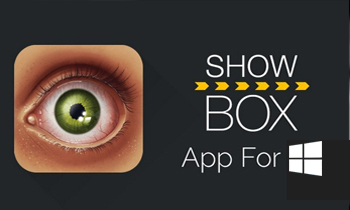 ShowBox app (APK file download for Android), developed by Showbox Mediaplex Co., Inc. in South Korea, is a great trend that taken over the internet, featuring streaming or downloading free movies and TV shows. Differently, it is also cloud-based professional video creation portal. 1. Pitifully, ShowBox is not a convenient Popcorn Time alternative for Windows 10. To get ShowBox for PC, you have to firstly download and install an Android emulator such as BlueStacks and Andy. 2. Showbox is not officially available for download on the Google Play store. 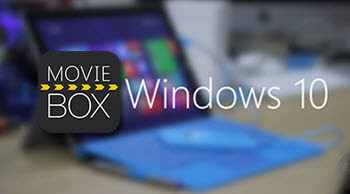 It is controversial whether Movie Box can take the place of Popcorn Time Windows 10 in some ways, but it is a famous cross-platform app that enables users to watch movies/TV shows on portable devices. 1. It requires a third-party application to install. 2. The version for Windows 10 needs the installing of an app emulator like Bluestacks. 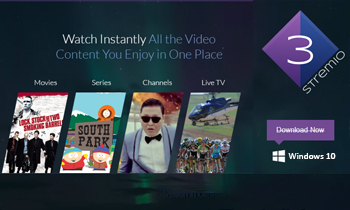 As an alternative to Popcorn Time Windows 10, Stremio is a video streaming app watching movies, series, and YouTube channels instantly, and a media center to organize your favorite videos. To make it simpler, Stremio is a torrent client with a video player, with which can you watch movies in HD with subtitles, and easily cast any file to TV through DLNA, Chromecast, etc. 1. About the safety, some say yes, some say no. 2. Stremio gets errors frequently, such as the Android app won't show episodes and seasons, no streams available, unstable issues, subtitles out of sync. About Popcorn Time (on Wikipedia): This free and multi-platform BitTorrent client provides an alternative to subscription-based video streaming services (such as Netflix).